Numark just released the Mixtrack Platinum controller with onboard LCD displays in each jogwheel. Numark just released the Mixtrack Platinum controller for Serato DJ that comes with onboard LCD displays in each jogwheel. Numark just announced the Mixtrack Platinum, a controller for Serato DJ that comes with LCD displays at the centre of each touch-capacitive jogwheel. The onboard screens show track BPM, time, pitch fader position, and the deck number you’re currently controlling. The Mixtrack Platinum inherits many of the features of the Mixtrack Pro 3, with the added functionality of controlling up to four decks in Serato DJ, as well as new gain knobs for each mixer channel. We love the Mixtrack Pro series of controllers because they’re portable, easy to use, and won’t break the bank. The Mixtrack Platinum kicks things up a notch with the added screens, and the gain knobs give you that extra bit of control when you need to do some manual level adjustments during mixing. Watch out for our review of it soon. 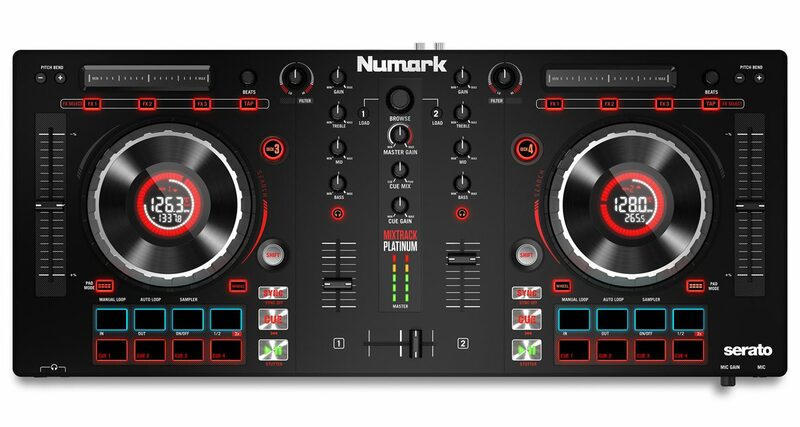 • The Numark Mixtrack Platinum is available now for US$299. Check the Numark website for more details. 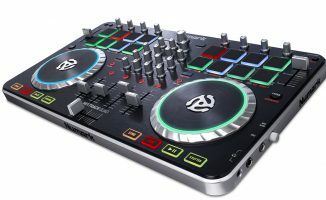 What do you think of this new controller in the Mixtrack line? Do the screens entice you? Do you want to upgrade to it if you’re coming from an earlier Mixtrack model? Let us know below. Aiaiai. 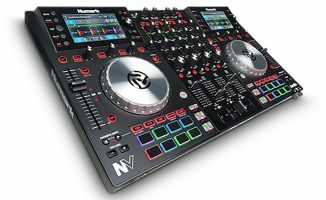 I might need to sell my cdjs 1000mk3 and get this badboy. So done with burning cds. This thing has all i need and more. Was recently trying to decide between the MTP3 and the Pioneer DDJSB2. But the MTP3 couldn’t do 4 decks. 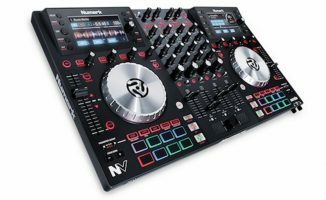 Personally don’t like Pioneer gear,( LOVE Numark but thats just me), but this was a viable option for me over the MTP3, wanting to move up from the original MTP. And also will work with Serato and VDJ. Nice! If Numark adds a smallish library browsing screen somehow, or maybe a clip-on/top mounted screen, I think they would dominate the entry level market. The Dashboard accessory. Think about it. I was aware of it, but my thoughts were one simple screen, library browsing only. Use the jogs for the track data and cue position. No waveforms. Keeps the price point low as well. I agree or a usb playback option. This one looks nice. I’d really like to see a usb playback option featured on this unit however, it looks nice enough to consider these options as upgrades to an already nice controller series. So what’s gonna happen next is that Controllers with Screens are gonna copy this model and shift BPM display etc. to the jogs and that is gonna free up some screen real estate for other info. 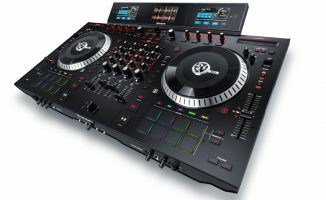 I hope they have a 4 deck version in the works because as everyone quickly learns 4 decks with only 2 faders is no fun. I really like the Mixtrack platinum and would love to see some of the previous tutorials with the Mixtrack, or new ones especially with Deep house and Techno.